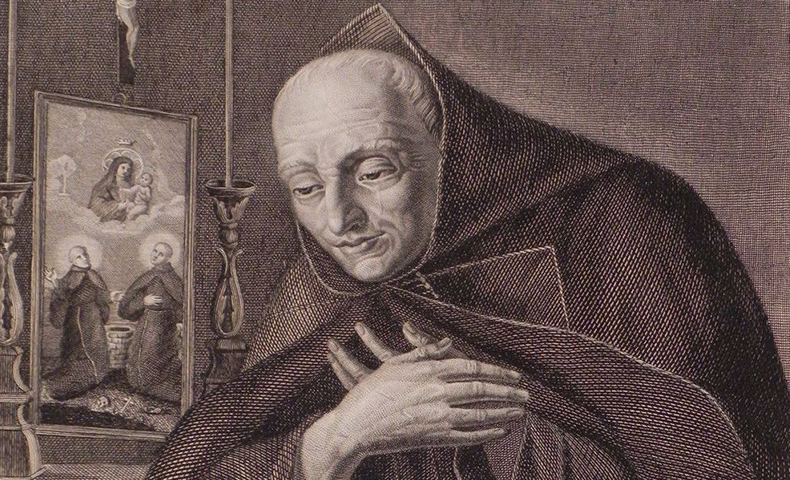 In the same year that a power-hungry Napoleon Bonaparte led his army into Russia, Giles Mary of Saint Joseph ended a life of humble service to his Franciscan community and to the citizens of Naples. Francesco was born in Taranto to very poor parents. His father's death left the 18-year-old Francesco to care for the family. Having secured their future, he entered the Friars Minor at Galatone in 1754. For 53 years, he served at St. Paschal's Hospice in Naples in various roles, such as cook, porter, or most often as official beggar for that community. "Love God, love God" was his characteristic phrase as he gathered food for the friars and shared some of his bounty with the poor-all the while consoling the troubled and urging everyone to repent. The charity which he reflected on the streets of Naples was born in prayer and nurtured in the common life of the friars. The people whom Giles met on his begging rounds nicknamed him the "Consoler of Naples." He was canonized in 1996. People often become arrogant and power hungry when they forget their own sinfulness and ignore the gifts God has given to other people. Giles had a healthy sense of his own sinfulness-not paralyzing but not superficial either. He invited men and women to recognize their own gifts and to live out their dignity as people made in God's divine image. Knowing someone like Giles can help us on our own spiritual journey.